Avocados are a stone fruit with a creamy texture that grows in warm climates. Avocado fruit is a fatty fruit from the avocado tree, which is scientifically known as Persea Americana. It is a delicious fruit with fantastic health benefits. The health benefits of avocado are numerous and are worth knowing. 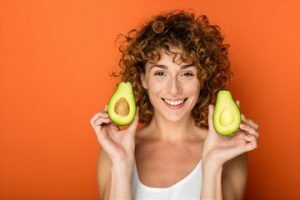 Avocado health benefits range from treating arthritis, managing diabetes, aiding digestion, promoting healthy weight loss, and improving liver function. 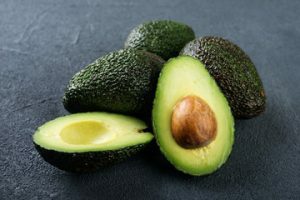 I am sure you love eating avocados, so please read this article to find out the nutritional value of avocado, the medical uses of avocado, and the health benefits of avocado. Avocado fruit is rich in various minerals, vitamins and nutrients. They have a high amount of monosaturated fatty acids, which makes them very healthy. Avocados are also rich in dietary fibre. They consist primarily of 73% water, 15% fat, 8.5% hicarbohydrates (mostly fibres), and 2% protein. They also contain vitamins A, B-6, C, E and K. They also contain nutrients like Calcium, Magnesium, Iron and Manganese. 100g (3.5 oz) of avocado contains 670 kJ or 160 kcal. There is a common misconception about avocados and weight loss. Because of the high-fat content, many have speculated that it is not advisable for weight loss. However, that is not the case. Avocados contain healthy fat that can increase your satiety and suppresses your overall caloric intake. Avocado may also be used in weight gain. But it is mainly used to lose weight the healthy way. A recent scientific research proved that avocado can help in losing weight. Everyone wants a healthy skin. Eating avocado fruit can be a great way to get healthy skin. Avocados are packed with healthy fats, which are suitable for your skin. It is also loaded with vitamin C, and vitamin E. Vitamin C is also involved in the production of collagen, which ensures that your skin is looking healthy and radiant. Monosaturated fats also keep the top layer of your skin fresh and free from premature wrinkles. The fastest way to get heart disease is to eat a poor diet, full of with low-quality fats and sugars. Avocados, on the other hand, are great for your heart. They help in improving your cholesterol profile. It is full of healthy fats that are beneficial to your overall health. Avocados also reduce total cholesterol levels to a great extent. Many studies have proven this. Avocados also significantly improve eye function. It contains antioxidants like Lutein and Zeaxanthin, which are vital for eye health and improving eyesight naturally. These antioxidants have also been shown to reduce the risk of-cataracts and macular degeneration, diseases of which are common in old age. Avocado health benefits do not stop here. They also aid in improving digestive tract function. Like I mentioned, avocado fruit has the high content of dietary fibre, which therefore aids in digestion. They contain both soluble and insoluble fibres that help to keep the digestive system functional. These types of fibre are significant for digestion because they bulk up stools and help ensure smooth passage of food through the intestinal tract. They also alleviate the symptoms of diarrhoea and constipation which makes an essential food for the gastrointestinal system. The liver a very important organ in the body. Avocados also help in improving liver function and health. 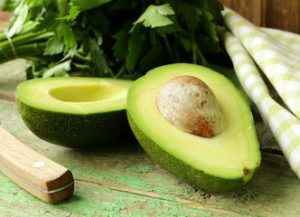 There are so many health tips for a healthy liver, and eating avocados is one of those. Hepatitis C is one of the diseases that cause liver damage. Research has shown that avocado can prevent damage to the liver. Avocados are rich in healthy fats, which lowers bad cholesterol and increases good cholesterol. Hence, reducing the risks and symptoms of fatty liver disease. Avocado fruit also produces glutathione, an antioxidant that protects the liver cells from damage. Avocados contain folic acid or folate, a B-vitamin. Folic acid is an essential nutrient for pregnancy. It is a healthy food to be consumed during pregnancy. Folic acid prevents the risk of congenital disabilities like spina bifida and neural tube defects. Another impressive health benefit of avocado is that it is great for managing diabetes. Many diabetic patients find it very hard to find the proper diet to consume. Well, if you have diabetes and want to stay healthy, avocados are the right choice for you. Avocados contain healthy fat, which slows the absorption of sugar into the bloodstream. 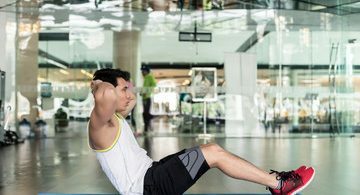 This allows insulin more significant time to process the carbohydrates. The health benefits of avocado keep getting better. It also promotes bone function. Avocado contains carotenoids called zeaxanthin and lutein. These carotenoids have been said to prevent the symptoms of cartilage defects, which is a symptom of osteoarthritis. magnesium, potassium and Vitamin D and Vitamin K which are essential for proper bone formation. Yes, in case you don’t know, avocado can help you alleviate depression and improve your mood. How is that so? There is a substance called Homocysteine, which is produced in the body. 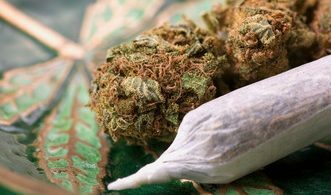 When this substance is produced in excess, it reduces the production of serotonin and dopamine. Serotonin and Dopamine are the chemicals that put you in a good mood and reduce stress. Avocado, as I have mentioned, contains folate. Folate acts to reduce the production of homocysteine. Thus reducing the risks of depression and putting you in a good mood. Some people also have allergic reactions to avocado. They should avoid it if they are allergic to avocados. Thanks for reading this article. I am very sure you loved reading it. Please share it to all your friends and don’t forget to leave a comment. This is great news for me! I LOVE avocados. I knew they were good for you, but I was not aware of all of these benefits. Thanks! Thanks, I didn’t know avocados had so many health benefits. Sadly I can’t pick a ripe avocado for the life of me so I typically just end up buying premade guacamole for my avocado fix. It’s funny because I just included half an avocado in my sandwich. I love avocados and guacamole, but I find if I eat it too much then I start to get sick of it. Thank you for sharing these benefits. 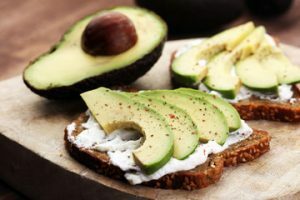 I have always loved avocados especially on toast but recently I’ve gotten into just cutting them up and eating them on their own with a little salt, pepper and chili flakes! I have been eating them to boost fertility but it’s amazing what other great health benefits they have. Wow, how interesting! I knew some of these, but I didn’t know avocados help bone strength, for example. Thank you for sharing! I’ll have to check out your other health benefit guides.